CHICAGO, April 9, 2019 /CNW/ - BMO Harris Bank today announced the appointments of: Shaheena Khan as regional leader, retail banking, Minnesota and Western Wisconsin; Dalila Rouri as regional leader, retail banking, Florida; and Patrick Strieck, regional leader, retail banking, Arizona. "Shaheena, Dalila and Patrick have a tremendous amount of knowledge across our business and are passionate about building and developing high performing teams focused on delivering an exceptional customer experience," said Ernie Johannson, group head of U.S. personal and business banking. "We look forward to our new team of regional leaders continuing to accelerate our growth in these markets based on our strong brand reputation." To capitalize on the opportunity to accelerate growth and leverage the depth of leadership talent, BMO is announcing a new region within its existing markets that will merge its Minnesota and Western Wisconsin operations. As regional leader of the Minnesota and Western Wisconsin market, Khan will be responsible for overseeing BMO Harris branches and driving growth for personal banking, business banking and premier services. Khan has served in the financial services industry for over 15 years. She most recently led the Cary/Barrington market in the Chicago north region as market president, and previously served as branch manager in Winnetka, Ill.
BMO is also announcing the split of its Sunbelt region into two new markets: Florida and Arizona. In her new appointment as regional leader of the Florida region, Rouri will oversee all BMO locations and teams. She will drive growth for personal banking, business banking and premier services. Previously, Rouri served as market president of the Florida north region. She has led large teams and has a proven record of delivering top tier results while developing high-performing teams over the 15 years she's worked in the industry. Strieck will serve as regional leader for Arizona, supporting and leading the growth activities for personal banking, business banking and premier services. Most recently he served as chief administrative officer (CAO), U.S. personal and business banking – supporting business delivery, operational effectiveness and providing strategic counsel to the business' leadership team. Prior to his CAO role, Strieck held a variety of leadership roles, including head, U.S. 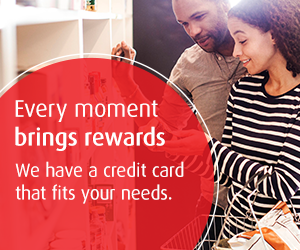 Contact Center and managing director, U.S. Retail and Small Business Payments. With over 25 years of progressive leadership roles, Strieck brings a strong operational and leadership foundation for complex environments. These new appointments align with BMO's strategic goal of advancing customers' needs in-branch and across channels for a seamless banking experience. BMO Harris Bank provides a broad range of personal banking products and solutions through nearly 600 branches and fee-free access to over 40,000 ATMs across the United States. BMO Harris Bank's commercial banking team provides a combination of sector expertise, local knowledge and mid-market focus throughout the United States. 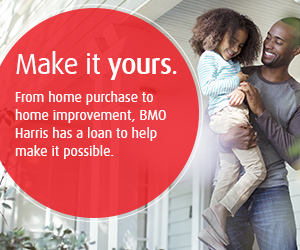 For more information about BMO Harris Bank, visit the company fact sheet. Accounts are subject to approval. BMO Harris Bank N.A. Member FDIC. 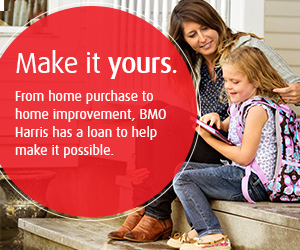 BMO Harris Bank is part of BMO Financial Group, a highly diversified financial services provider with total assets of CDN$807 billion (as of January 31, 2019), and more than 45,000 employees.